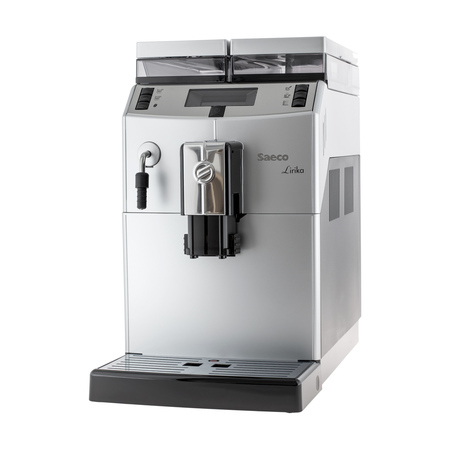 Saeco Lirika PLUS is an automatic coffee machine with some additional features compared to a standard Lirika version: it contains a milk frother mounted on the steam wand, coffee strength setting, and a programming button. 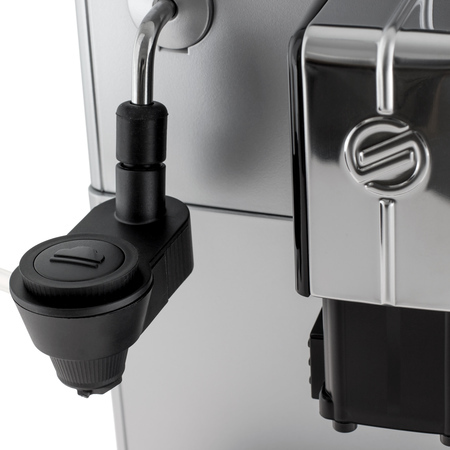 Lirika Plus is a simple, compact and performing automatic coffee machine, ideal for the office and small Ho.Re.Ca. venues. It has modern and essential lines, high capacity water and coffee tanks and is incredibly easy to use. 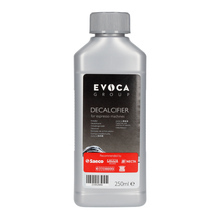 All the models are characterised by the pre-brewing system, a Class A boiler, ceramic blades and a removable brewing unit to facilitate cleaning and maintenance activities. 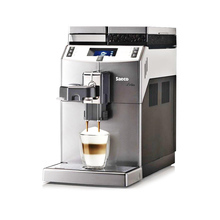 Lirik coffee machines are the best expression of Saeco know-how, and offer a mix of top quality and performance. A wide display is easy to read and intuitive. The processes and alerts are displayed in 3 different colours.